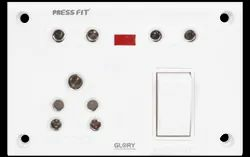 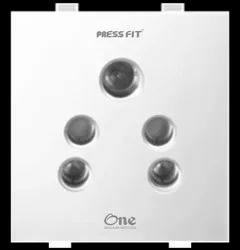 Press Fit - India's Leading Brand of Electrical Products - offers sturdy ISI-Marked Switches that are superior in quality and affordable in price. 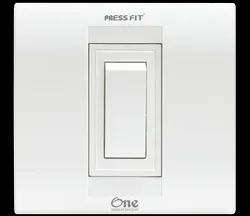 Switches provided by us is known to have a sleek & stylish body with good resistance to dust & stains available in a wide range. 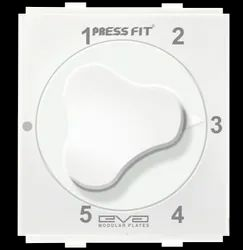 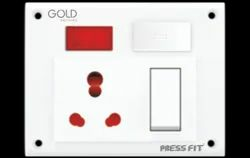 Modular Plate offered by us is known to have a sleek & stylish body with good resistance to dust & stains. 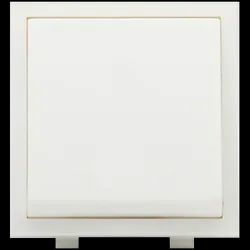 It is greatly admired for having fire retardant nature with super glossy surface finish. 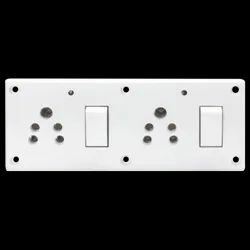 This plate is applied around edges of switch & socket boards as a safety structure. 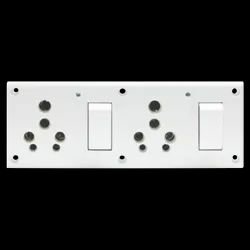 Modular Switch Plate offered by us is known to have a sleek & stylish body with good resistance to dust & stains. 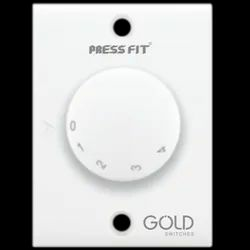 It is greatly admired for having fire retardant nature with super glossy surface finish. 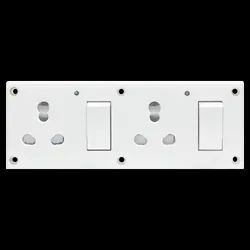 This plate is applied around edges of switch & socket boards as a safety structure. 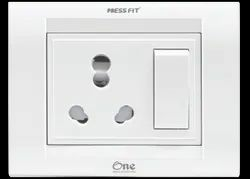 The socket provided by us is required for connecting wires to sockets & switches for supply electricity for running appliances. 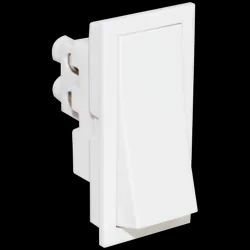 A fan regulator is a crucial component that serves to increase or decrease the speed of your fan according to your needs. 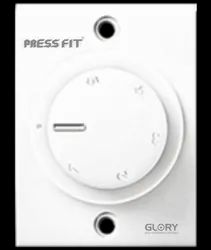 The technology along with the circuitry that controls the fan speed is quite complex. 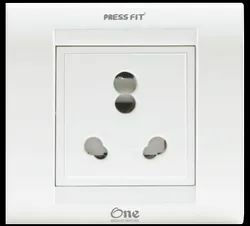 The switched socket is required for connecting wires to sockets & switches for supply electricity for running appliances. 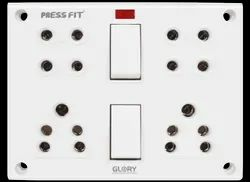 The Switches made by us is a heavy-duty and used to regulate the flow of electricity by interrupting or diverting the current from one conductor to another. 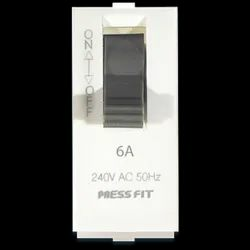 A fan regulator is a crucial component that serves to increase or decrease the speed of your fan according to your needs. 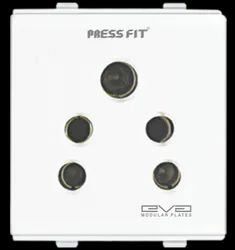 Press Fit Double Pole MCB is considered to be one of the most important requirements of electrical connections in all industrial, domestic, & commercial sectors. 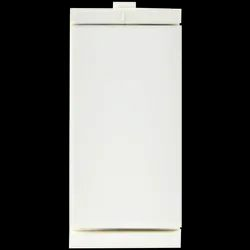 It is known to prevent damage caused due to overvoltage conditions to both life & property. 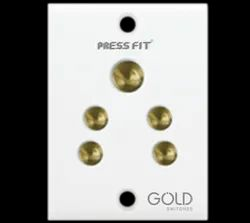 Press Fit Single Pole MCB is considered to be one of the most important requirements of electrical connections in all industrial, domestic, & commercial sectors. 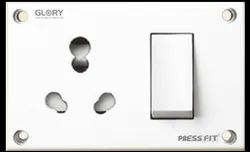 It is known to prevent damage caused due to overvoltage conditions to both life & property. 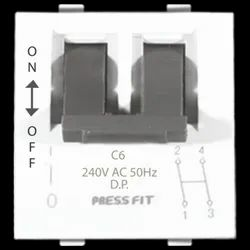 This MCB is generally used in place of the fuse as it saves both money & time. 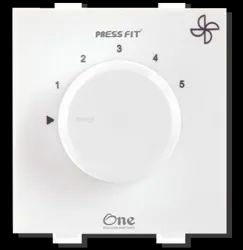 It automatically turns off when an overload situation is detected cutting the supply of power to prevent any harm.